Although not a particular fan of dark evenings, Halloween is a mega excuse to go all out with the baking. Taste is important, but at this time of year the decoration is also important, but remember no style over substance! 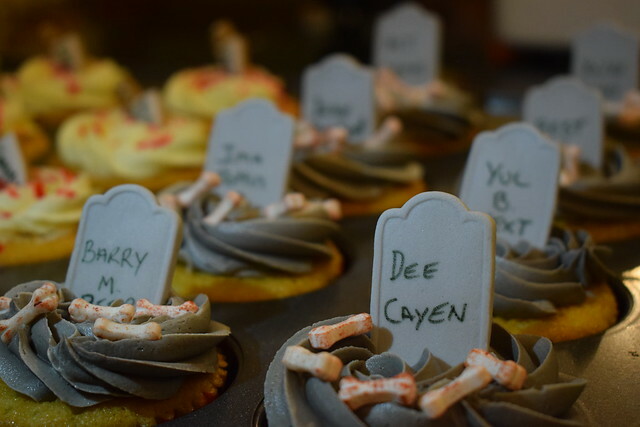 Last year we made the chocolate graveyard cupcakes. They exuded taste and style. So no pressure for this year. 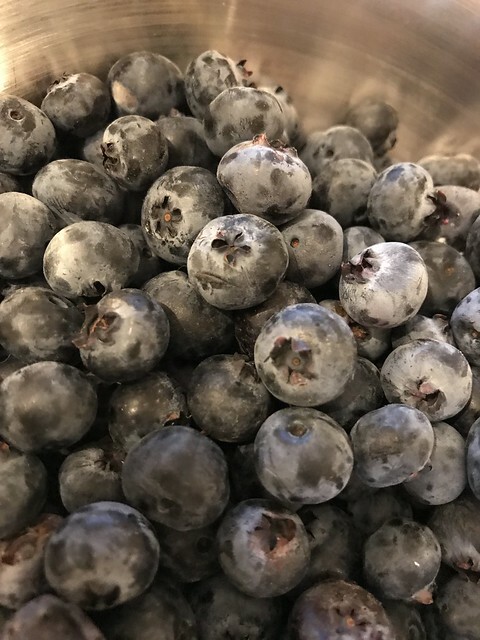 My better half came home from work recently with a veritable mountain of blueberries that just needed to be used. And no, not planning on Blueberry pancakes. SOS as they say. 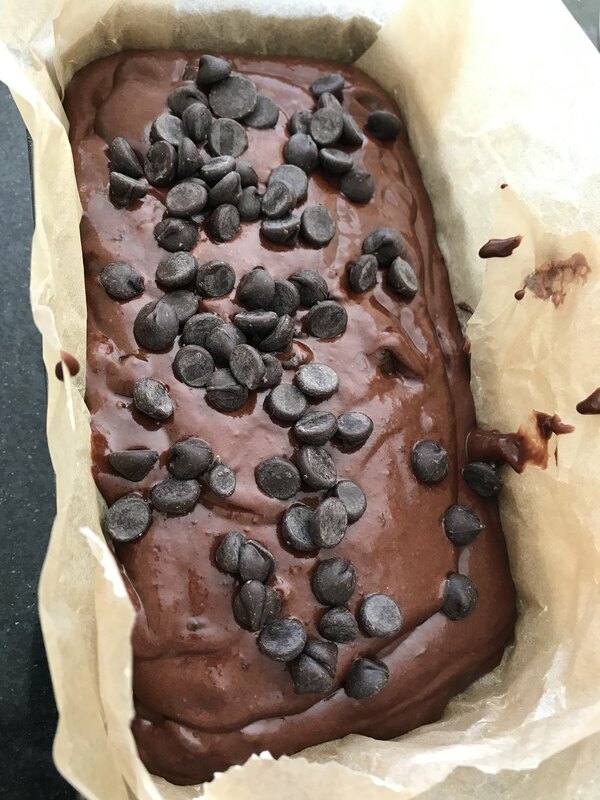 So in my recent trend of making traybakes, I decided on making a beautifully coloured and blueberry filled bake. This cake is equally delicious made using fresh or frozen blueberries. And I’m sure, that it would be equally as good with blackberries. Who doesn’t love a ripe tomato? Unfortunately those that you buy in a supermarket, with some exceptions, are just NOT nice AT ALL. 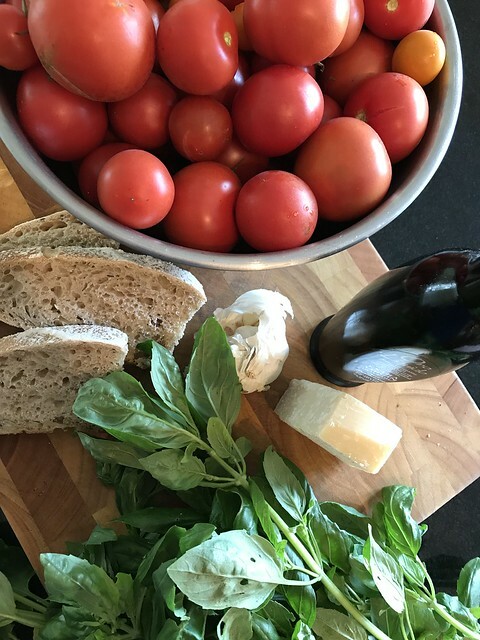 This recipe should ONLY be made with the ripest of tomatoes. And in this case, not even tinned tomatoes will do. Pluck basil leaves from stems. Place stems and any larger or not-so-beautiful leaves in a large saucepan along with 2 or 3 larger garlic cloves; cover with 3 cups water. Set aside remaining smaller, prettier basil leaves. Cut Parmesan away from rind and add rind to pan; set cheese aside. Bring liquid to a bare simmer over medium heat, then reduce heat so mixture is steaming. Let ingredients steep while you start the soup. This step may seem like a lot of faff. But is totally worth it. Preheat oven to 200°C. Spread out 1 cup bread on a small rimmed baking sheet, drizzle lightly with oil, season with salt and pepper, and toss to coat. Toast until edges are crisp but centres are still chewy, 8–10 minutes; set croutons aside. Meanwhile, slice remaining garlic cloves. Heat ⅓ cup oil in a medium pot over medium and cook garlic, stirring occasionally, until evenly golden brown and softened, about 2 minutes. Season generously with salt and pepper. 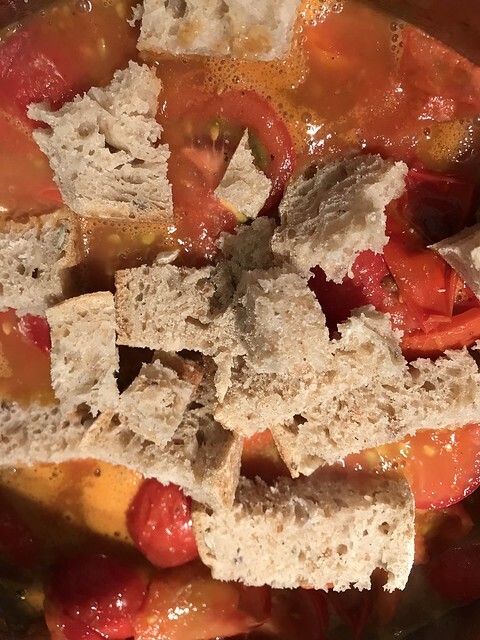 Add tomatoes to pot and cook, stirring energetically with a wooden spoon now and then, until tomato juices are bubbling, 6–8 minutes. Taste and season with more salt and pepper, then add remaining 3 cups bread. 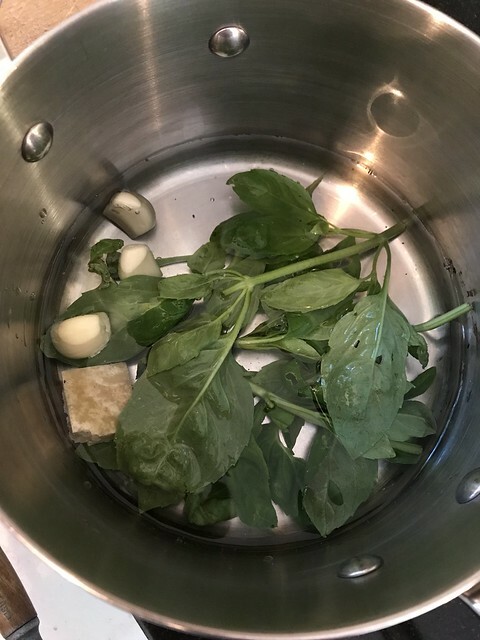 Finely grate reserved Parmesan and whisk half into soup along with reserved basil. Cook, stirring, until soup is thickened and looks shiny, about 2 minutes. Taste and season with more salt and pepper as needed. 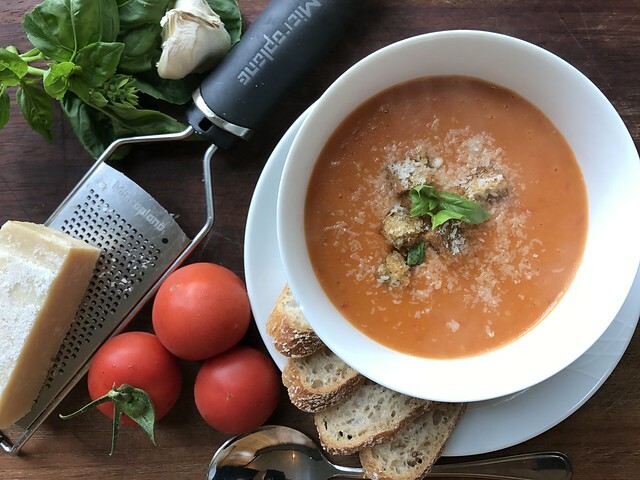 Divide soup among bowls and top with reserved croutons, remaining Parmesan, and a drizzle of oil. Divine! 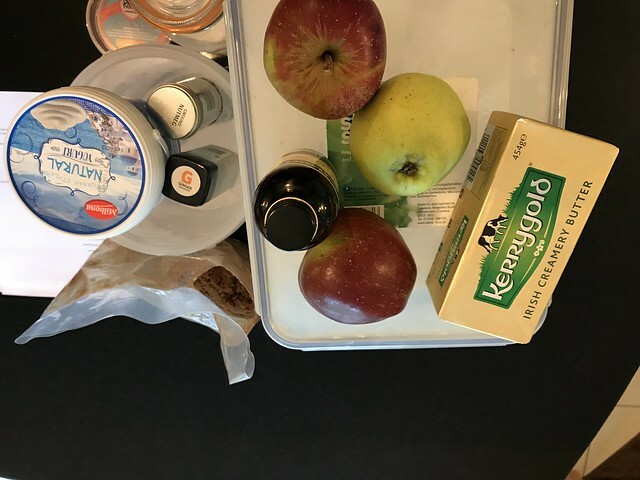 Apple season is upon us again, and I’ve a couple of delicious new recipes to share. 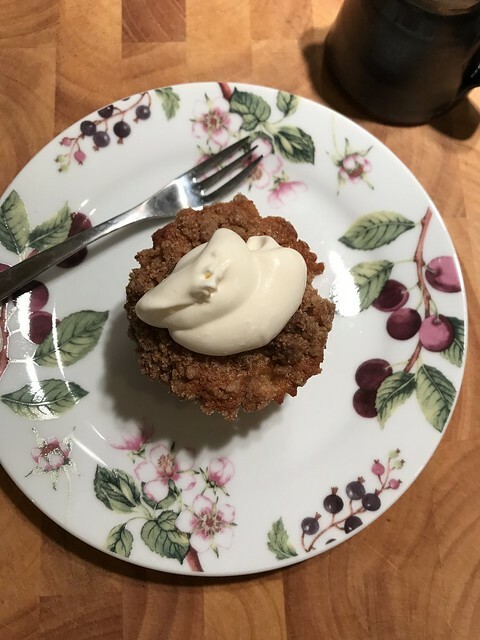 The first being this SUPER easy apple streusel muffin recipe. I don’t do lunchbox idea blogs, but if I did- this would be on the list. AND they freeze. If they stay around that long. Preheat oven to 180°C. Put cupcake wrappers in the muffin tin. If you don’t want to use these then grease the tins really well. Whisk together flour, cinnamon, baking powder, salt, ginger, and nutmeg. In another bowl, combine eggs, brown sugar, yogurt, and vanilla. Add the melted butter, pouring in a slow and steady stream, while whisking vigorously to emulsify the mixture. Add the liquid mixture to the dry ingredients and gently fold until the liquid is just barely combined, being careful not to over-mix. (A few lumps are okay.) Stir in the chopped apples. 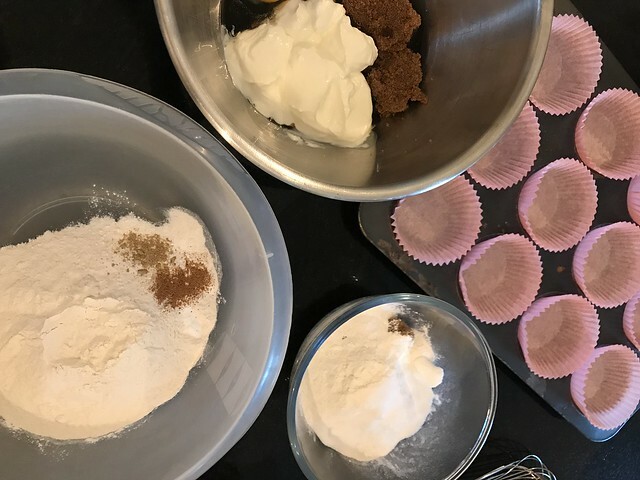 Fill each muffin well all the way to the top with batter; set aside while preparing the streusel. add the flour, brown sugar, sugar, and salt in a medium bowl. Pour in the melted butter and gently stir with a fork until well combined and small pebble-sized pieces remain throughout. Top each filled well with a heaping tablespoon of streusel, lightly pressing it into the batter. (A round cookie cutter placed over the cup helps keep the mess to a minimum.) Bake muffins for 18 to 22 minutes, until tops are golden and a toothpick comes out clean. Leave the muffins in the pan for 10 to 15 minutes, then transfer to a wire rack to continue cooling. 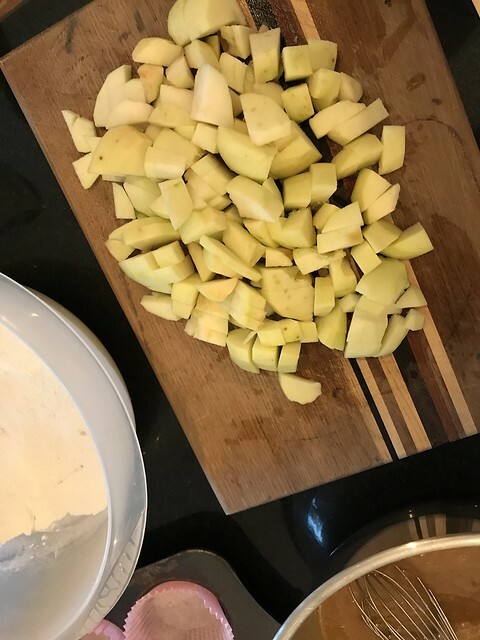 To get the most “apple” out of your apples, vary the size of the pieces — the finer chopped apples melt into the batter while the larger diced apples keep their shape, revealing sweet morsels in every bite. In the Summer it’s nice to have a pastry dish that’s lighter than the traditional hot crust type dish. Filo is the perfect answer to this. And I have never had the nerve to make my own filo pastry, I like the uniformity and flavour of the shop bought filo, and always have used it successfully. Filo (or phyllo) is a very thin dough made without using yeast. It is primarily used for making pastries such as baklava in Middle Eastern cuisine. Filo-based dishes are, like this one, made by layering many sheets of filo brushed with olive oil or butter after which the pastry is baked. Anyway, in this case the beetroot needed using, so chocolate cake ensued. 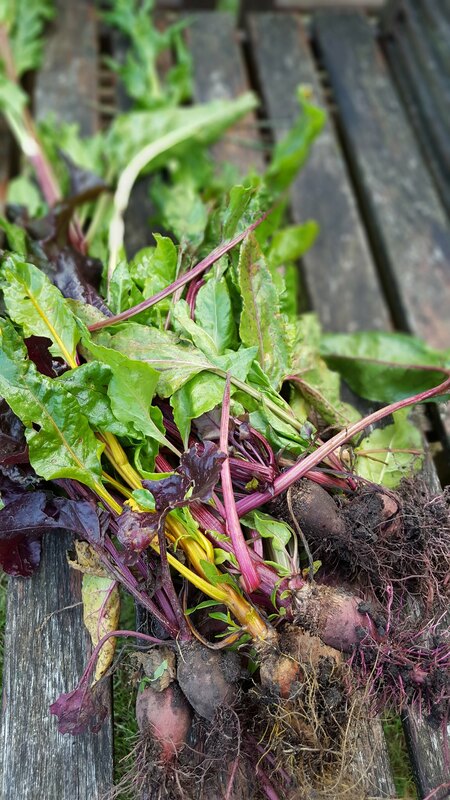 Beetroot is almost always organically grown as it is resistant to most pests. Good News. But grows best in cooler climes, so with the onset of climate change definitely starting to affect us here… Bad News. Anyway, I digress. 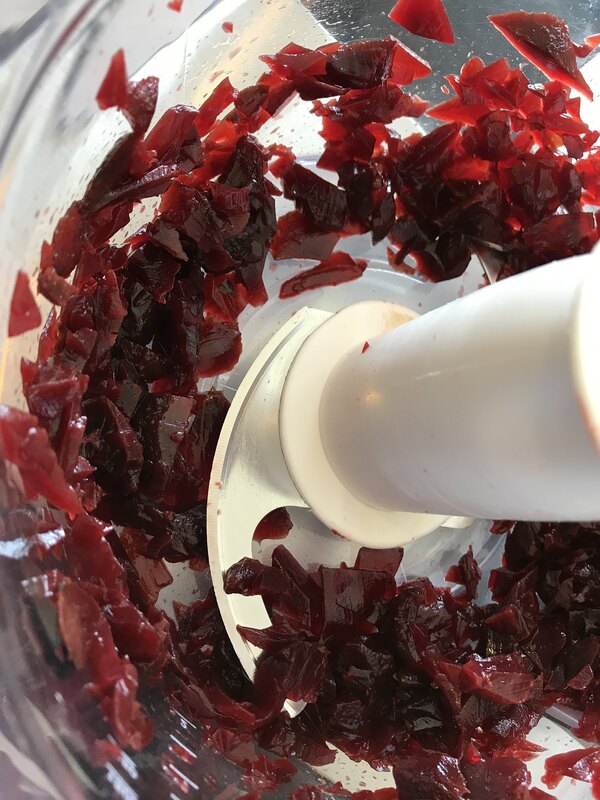 “Blend” the beetroot until like little grated chunks. Add the flour, baking powder, sugar, vanilla, eggs and cocoa. Blend again slowly then add the oil down through the chute until you get a nice sloppy cake consistency. You may need to scoot around the sides with a spatula to make sure everything is nicely blended. Pour/ scoop into the prepared tin and sprinkle the chopped chocolate on top. Bake in the pre-heated oven for about 40 minutes or until the skewer comes out almost clean. Leave in the tin to cool down completely. This is a rich, dense cake that lends itself to be eaten with some softly whipped cream. And no, you don’t taste the beetroot. Who doesn’t love Tiramisu? 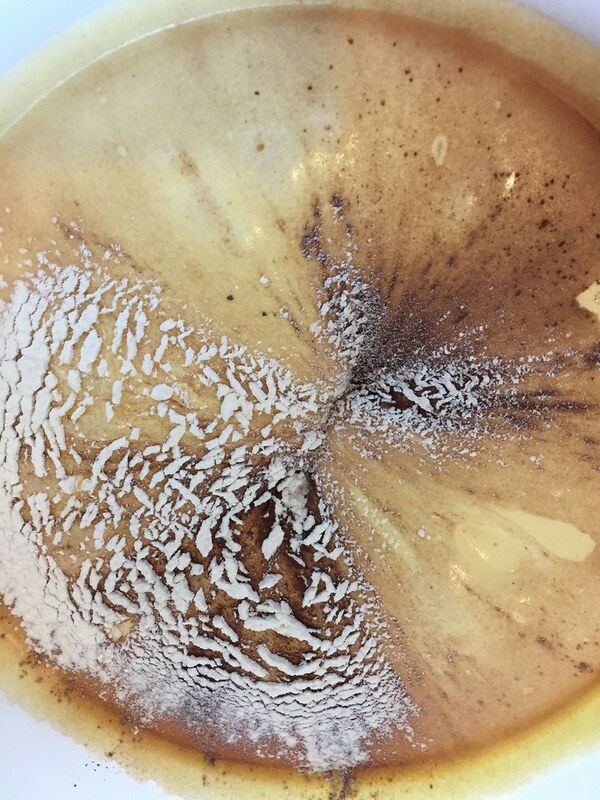 Even people who don’t like coffee like tiramisu. 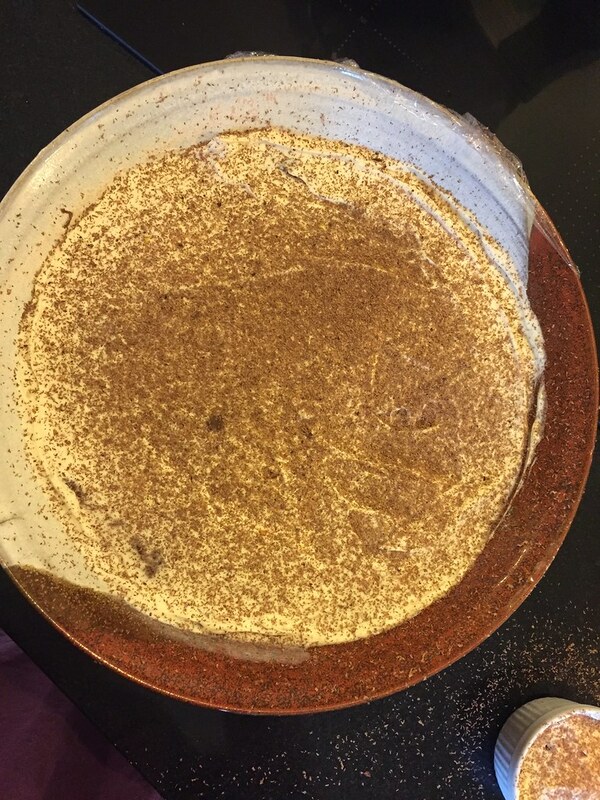 Regular readers will have seen my tiramisu cake, which is VERY popular and velvety smooth to have as a dessert at the end of a meal. And although it takes a little while to make, it’s very simple. Preheat the oven to 180oC. Grease a Swiss roll tin and line with baking paper, or line two round 7” tins. 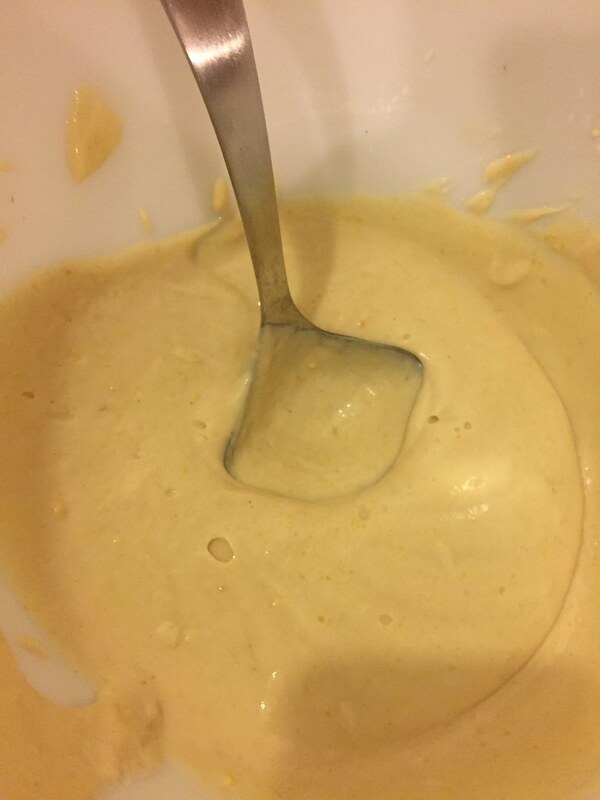 For the sponge, place the eggs and sugar in a large bowl and whisk together for about five minutes, or until the mixture is very pale and thick. 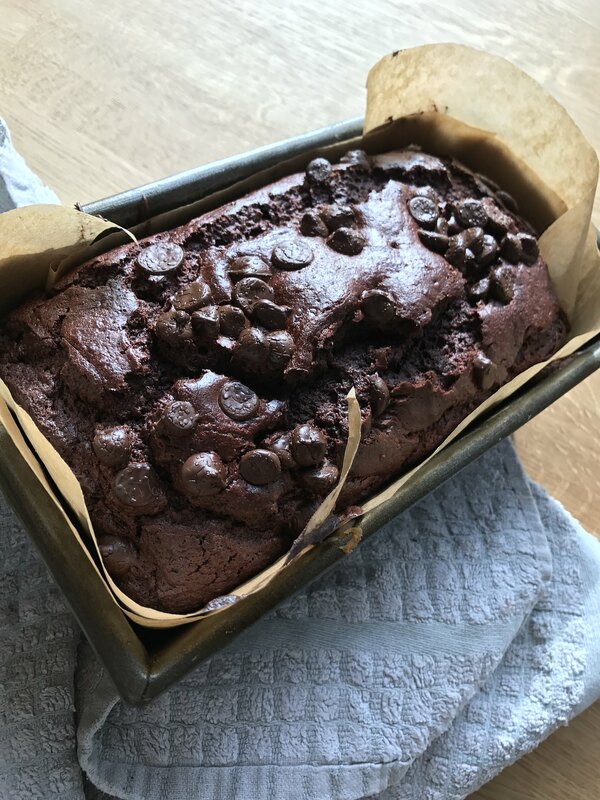 Sift over the flour and cocoa and fold in gently using a metal spoon or spatula. 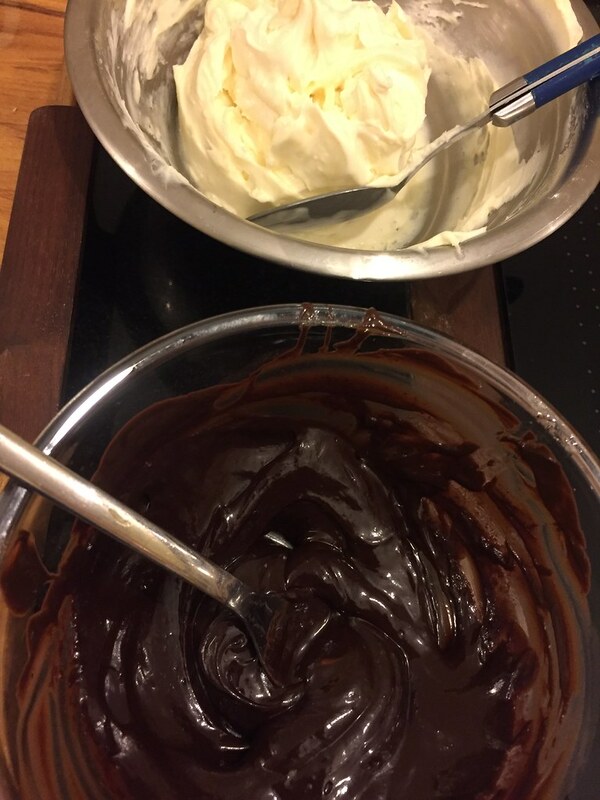 Mixing the flour and cocoa in…. Pour the mixture into the prepared cake tin (tins) and tilt the tin to level the surface. Bake for 20 minutes, until cooked. Cool in the tin for five minutes then turn out onto a wire rack and leave to cool completely. 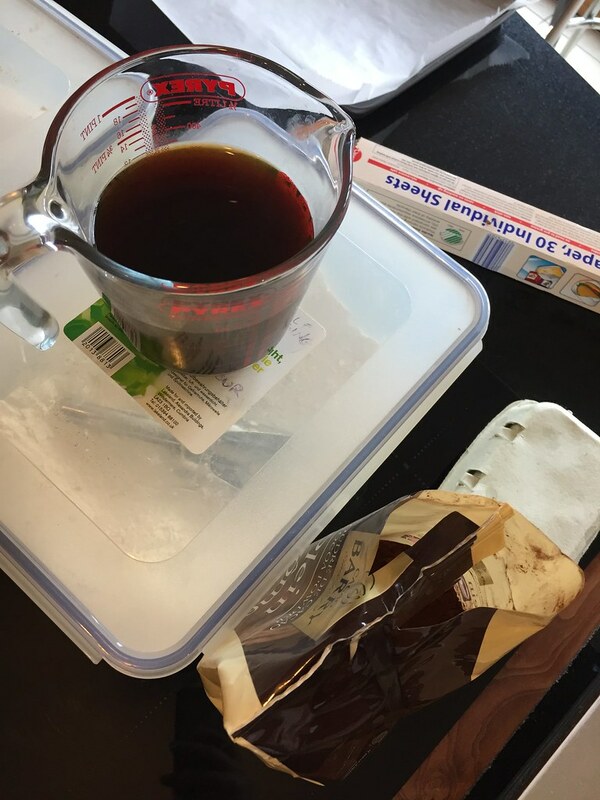 For the filling, dissolve the coffee in the boiling water and add the tia maria. Set aside to cool. Brush the tops of each cake with the alcohol/ coffee mixture. Wrap sponges in clingfilm until ready to ice. Place the mascarpone cheese in a large bowl and beat until smooth. Gradually beat in the cream and icing sugar. Decide on your serving dish, what you make the dessert in, is what you will put on the table so choose carefully. 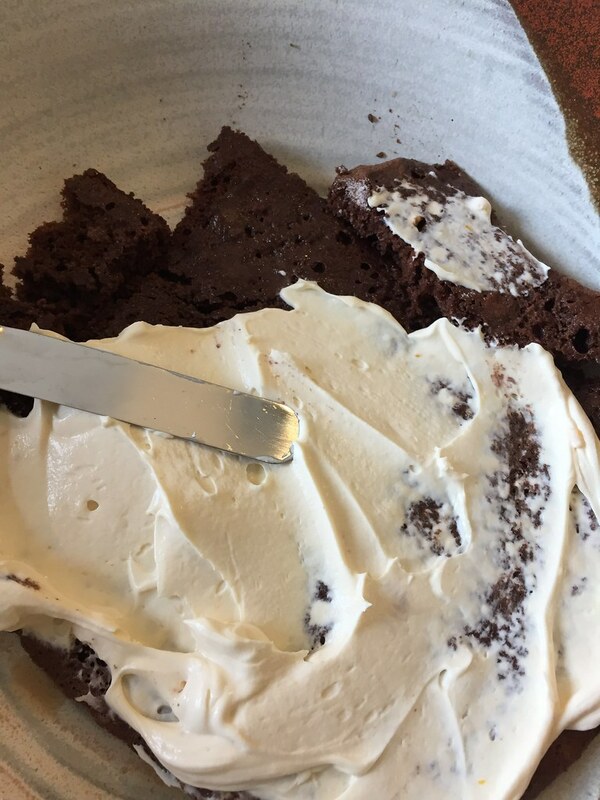 Add broken bits of the cake to the dish, then spread 1/2 of the mascarpone icing over the soaked sponge. Scatter over 1/2 of the grated chocolate. 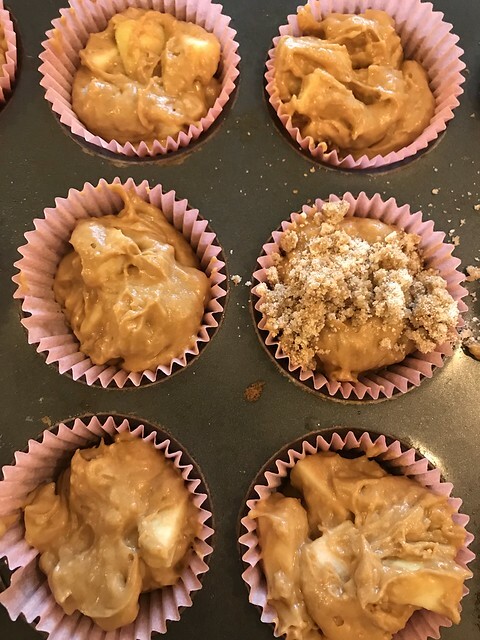 Place the second sponge on top in pieces if you have to to make it fit (you won’t see this as it chills), spoon over the rest of the coffee mixture then spread more of the icing over the soaked sponge. Spread the rest of the icing in a thicker layer over the top layer. Chill for at least two hours in the fridge before final decoration- of- you guessed it- more grated chocolate! Divine! 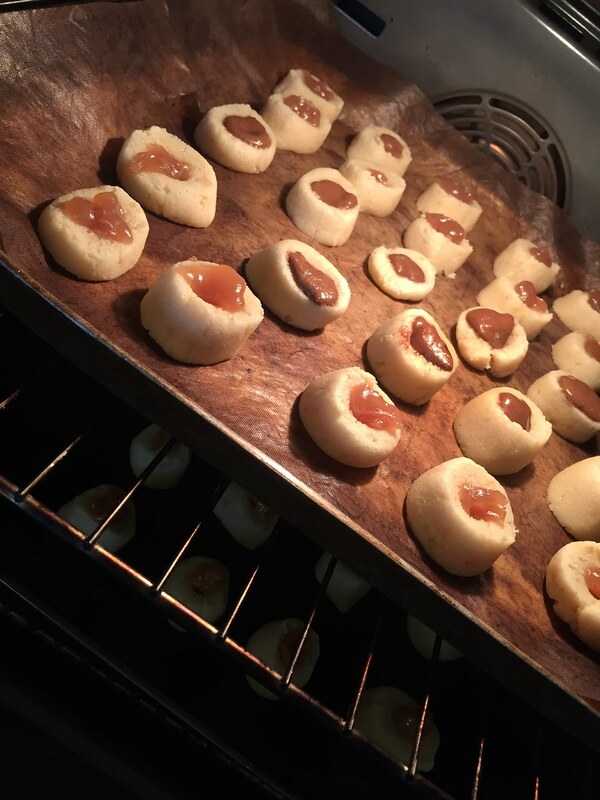 Italian Biscuits- to have with a nice strong coffee, or tea..
Or just to nibble. Who doesn’t love a nice cuppa with a little something on the side.. and the sound of Italian Biscuits is so alluring. There’s always either egg yolks or egg whites in the fridge. And these biscuits use up egg whites not destined for macaron, or meringue. A biscuit can be several different things depending on which side of the oceans you are on. In America, when I visited New Orleans, a biscuit was a kind of what we would call a scone. Mind you they serve them with gravy. Yes, *sigh* I didn’t really get my head around it either. These “new” biscuits, were hard, flat and unleavened. In some parts of Europe they were baked twice, like the Italian biscuits called biscotti served in cafes across Italy. But all were used as a dry form of food that was easily carried. By the 7th century AD this was changing. The sweetness of a biscuit was much desired. Fast forward to my recipe for today. Mix the ground almonds and icing sugar together, add in the honey and the egg whites. Mix this together until you have a smooth dough. Leave to chill in the fridge for at least an hour. Preheat your oven to 150oC. Prepare your baking trays. 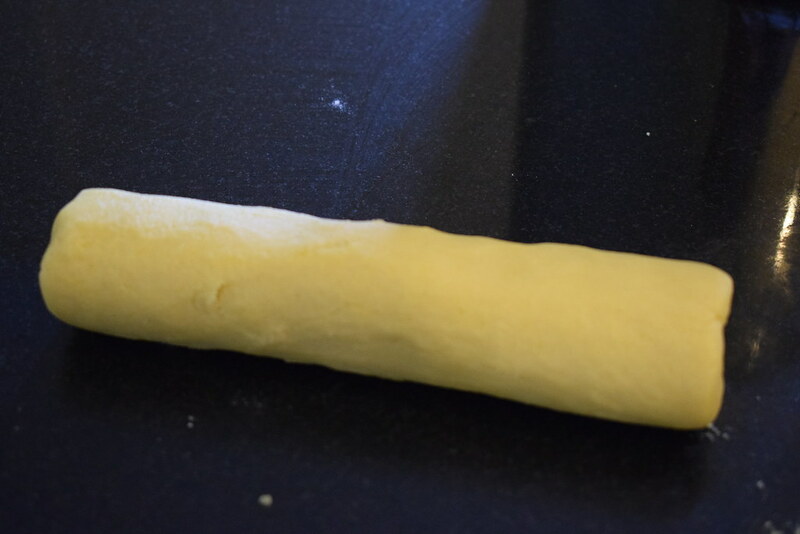 Divide the dough into four and roll each piece to a rough sausage shape. Slice each of these rolls into about ten pieces and place on the trays. I used the end of a small butter knife to make an indent in each biscuit. Being careful not to go straight through to the tray. Add some jam or something sweet that you might have into the dent. I used some salted caramel spread in some, and some raspberry curd in others. It was suggested that nutella might also be acceptable! But I’m not a nutella fan. Now comes the tricky bit. Bake for around 15 minutes. They will still be soft coming out of the oven, but once rested they will slide off the trays to cool. They need to be coloured on top. 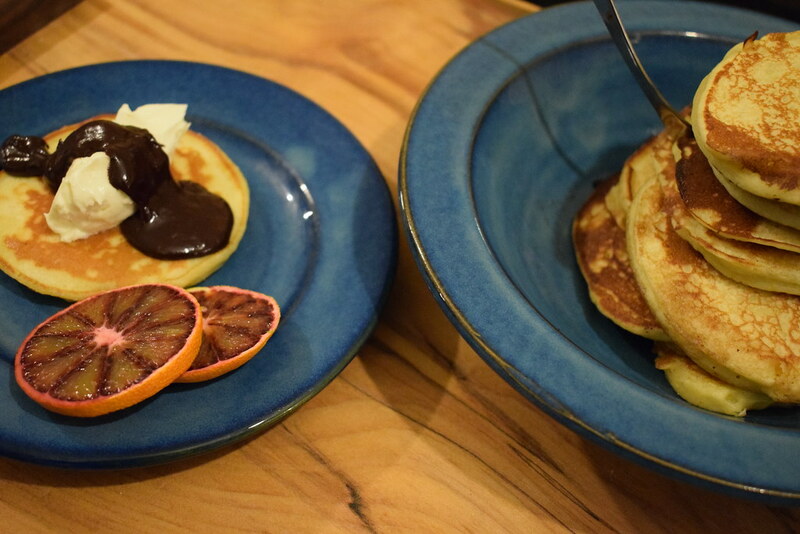 Not only are you probably all sick of pancakes, you are also a little fed up of my current blood orange obsession. Well fear not, this is the last blood orange hurrah…. and these pancakes are SO totally worth it. With, or without the chocolate sauce. To make the sauce: Combine all ingredients in a small bowl, place over a pan of simmering water, stirring frequently until the chocolate is melted and looking smooth. Turn off the heat but leave over the pan of water so it doesn’t thicken too much while you are making the pancakes. In a large bowl, whisk together ricotta, sugar, eggs, orange zest and juice. Add flour and baking powder and stir until well combined. Heat a large frying pan over medium-low heat. Add a little bit of butter to melt. 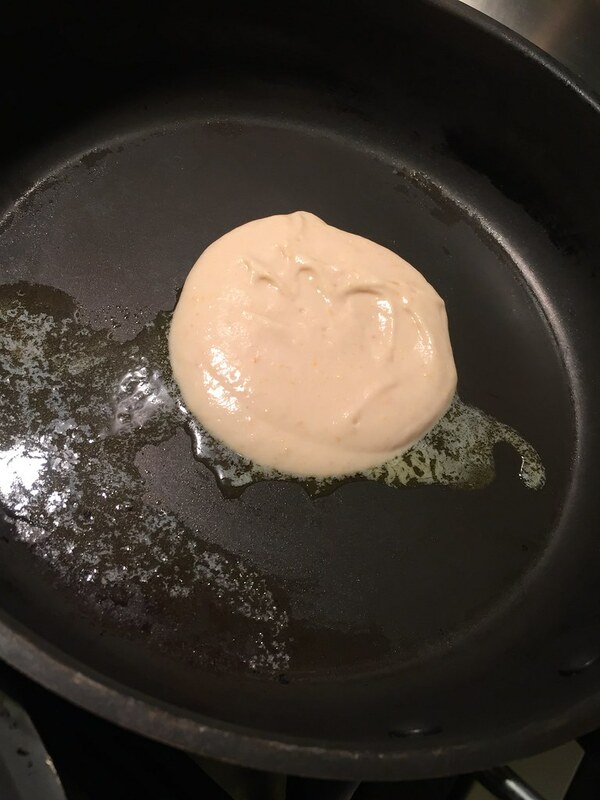 Ladle batter into the pan and cook pancakes until edges are beginning to crisp, about 5 minutes. Flip pancakes and cook an additional 3-4 minutes. Serve pancakes topped with warm chocolate sauce. Chicken and chips is one of lifes bonuses for getting through the week. But this is a lighter and easier version, both in portion size, and calorie wise, as it’s baked. I don’t coat the chicken in a batter, or a chilli sauce. Simply toss it with the home baked chips in a simplified cajun dressing. 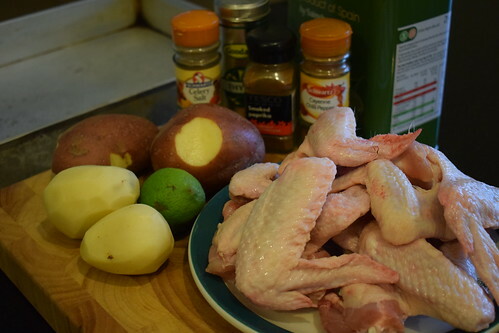 The lime juice and zest cuts through the fat of the oil used to cook the chicken and chips. You could also use this dressing to coat fish instead- for a midweek fish and chips. Approx. 500g of potato, scrubbed. Heat oven to 180oC. 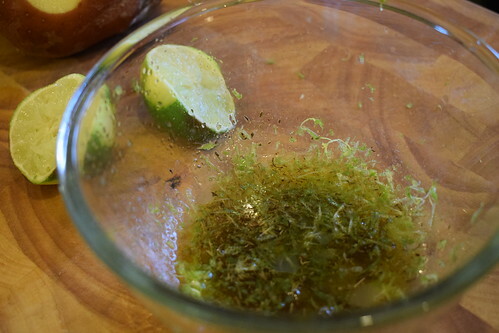 In a bowl, whisk together the Cajun seasoning spices & Herbs, olive oil, lime zest and juice. Cut the potatoes into chip sized chunks. Toss the chips, wings and Cajun mixture together in batches, so that everything is well coated. Cover a large baking sheet with foil if you want, I just oil my roasting tin well. Then arrange the chips around the outside and the wings in the middle. 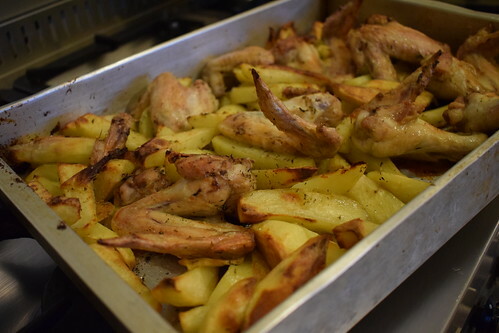 Season and bake for 20 mins, then turn the chips and return to the oven for a further 20-25 mins until the chips and wings are golden. Serve with lots of green salad.